OPLIN, Mo. — The tones of a cello are the closest to a human voice as any instrument created. Matt Haimovitz is regarded as being able to create a variety of voice-like tones, including the voices of Arcade Fire’s Regine Chassagne and Radiohead’s Thom Yorke. 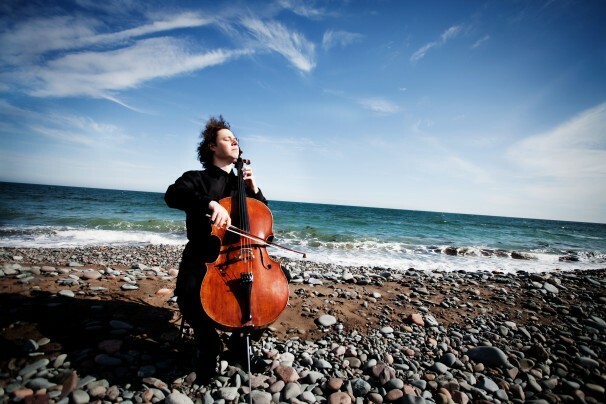 Haimovitz will perform next week in Joplin as part of Pro Musica Joplin’s season of chamber music. Bach will be featured at two performances; Thursday at First United Methodist Church and Nov. 2 at Phoenix Fired Art. The program will be announced from the stage during both concerts, and could include selections by Bach, Ned Rorem, Domenico Gabrielli, the Beatles and Jimi Hendrix. “Etude Borealis 1” by John Cage, during Thursday’s concert. Haimovitz said the piece is an immensely difficult selection, and he is pleased to play it in honor of the 100th anniversary of the composer’s birth. Several Bach suites during both concerts. An arrangement of “Helter Skelter” by the Beatles and Luna Pearl Woolf during Thursday’s concert. Debuting at age 13 in 1984 as a soloist with Zubin Mehta and the Israel Philharmonic, Haimovitz has played worldwide, including at Carnegie Hall, and recorded albums through his Oxingale Records, an independent label he founded with Luna Pearl Woolf. Bonnie Yetter, director of Pro Musica, said Haimovitz is a trailblazer for different performance venues, such as Phoenix Fired Art. Haimovitz said he relishes the chance to play in areas with different acoustics. He recently played in a Kansas City building that used to be a speakeasy, and the experience was incredible, he said. At 7 p.m. Thursday at First United Methodist Church, located at 501 W. Fourth St. Admission is free. At 9 p.m. Nov. 2 at Phoenix Fired Art, located at 1603 S. Main St. Tickets: $5, $7.50 per couple.